The Accrington owner, who was around 60 years old decided to move in with family in the south. Having lived in the property for over 30 years, the house was full of possessions, along with business related-matter – the remnants of a former home business. The seller simply wanted a quick sale. Moving in with family left the problem of large amounts of unwanted items. The seller had approached other quick sale companies, some purported to be cash buyers in Lancashire, while others made various claims, but none could perform to the seller’s needs. A simple call to 365 Property Buyer solved all the issues: we arranged solicitors for the seller, paid his legal fees, and took the house as it stood. We offer a free house clearance service and agreed an acceptable price with the buyer. To add to this, we released £5000 on exchange of contracts to assist with the move south, and completed the matter seven days later with the seller simply packing a bag and handing the keys over, a simple no-hassle quick sale of an Accrington home. 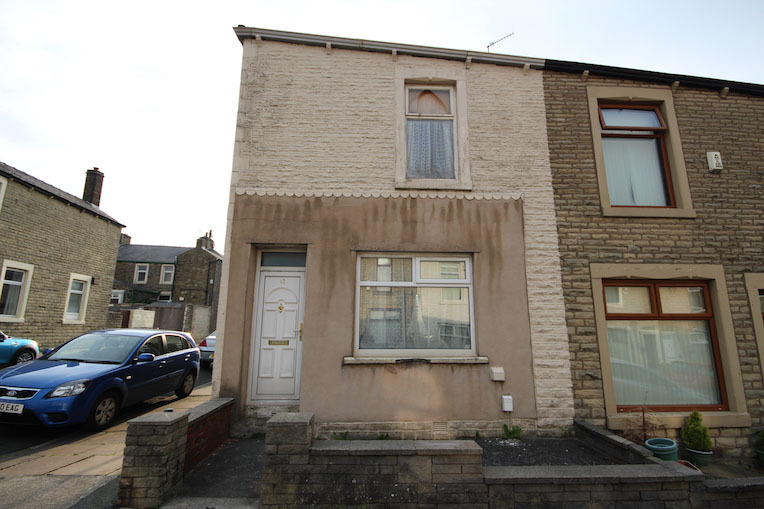 This Accrington Terraced House sold in 8 days, If you are looking for a quick house sale, give us a call on 0800 019 7031 or get in touch. We are a UK Property Buying Company that purchases property quickly, we also make the process of selling your home to 365 Property Buyer very straightforward & our current average completion time for any type of property (not just Terraced House's) is 15 days. How Much is Your Terraced House Worth?